On July 23 1944, Soviet Army troops discovered the huge Nazi concentration camp of Majdanek just outside the Polish city of Lublin, virtually intact. Along with a few hundred ill and emaciated survivors, they found plentiful evidence that men, women, and children from all over Europe had been brought to this camp by the SS, and that tens of thousands had been murdered there. 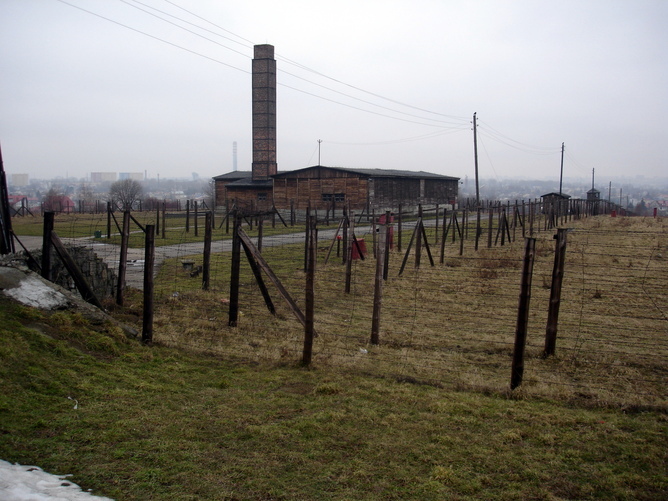 As well as the physical structures which we have since come to identify as those of the concentration camp – wooden barracks, the electrified barbed wire fences, the watchtowers, gas chambers, and crematoria – the Soviets found burial pits with the remains of human bodies, and huge quantities of ash strewn over the site. They also found documents, clothing, and more than 800,000 pairs of shoes. From survivors they quickly learnt that Majdanek had been, even in the gruesome realm of Nazi oppression, a place of particular horror. 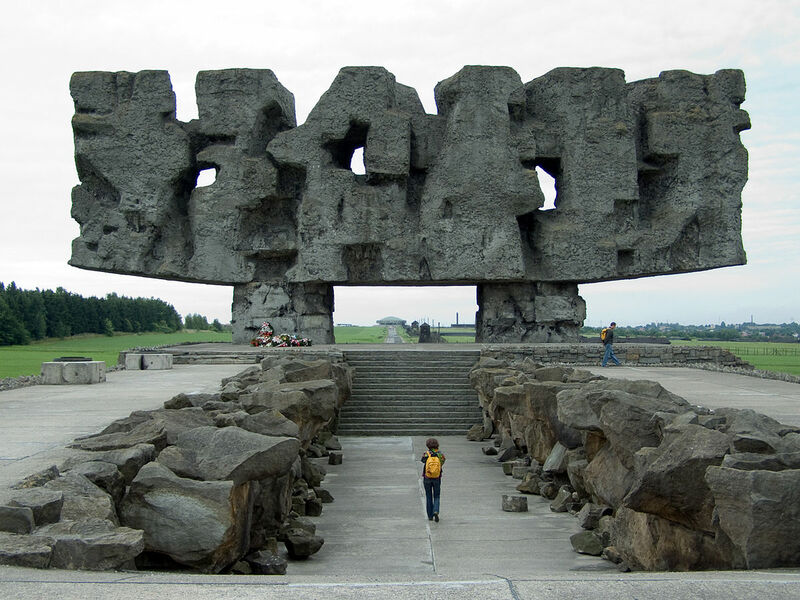 Today the anniversary of the liberation of Majdanek passes almost unnoticed, unlike that of the liberation of Auschwitz, fully six months later in January 1945, which has been adopted in Britain as Holocaust Memorial Day. In history books, in film and on television, the discovery of the concentration camps in Germany by Allied troops in April 1945 is recognised as a pivotal moment in world history, when humankind had to re-assess its understanding of what one set of people might do to another, after which, in Adorno’s words, it would be barbaric to write poetry. Those born since 1945 still live in the shadow of these events, conscious of the terrible images of starving prisoners in striped uniforms, of bodies bulldozed into pits, and of the hardened faces of men and women who had presided over this horror. 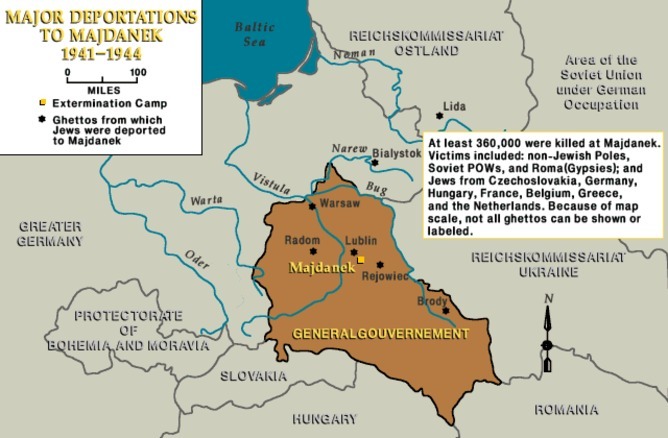 But why has Majdanek been forgotten? Immediately after the Red Army occupied Majdanek, Soviet, Polish, and Western journalists were taken to the camp. Photographs were taken, newsreel film was shot, and a commission of enquiry was established. Reports were published in the West, but they were typically brief, and even confused. The Times published a short piece from its Moscow correspondent on August 12 1944, entitled The Horrors of Lublin, implying that two separate camps had been discovered, “which suggest medieval conceptions of hell.” It stated that evidence of mass murder had been found, alongside “thousands of pairs of boots and shoes”. This and other reports in Western media highlighted the discovery of gas chambers, something which had been previously rumoured, but not confirmed. There were clearly individual readers who recognised the significance of this moment, but as the war continued, there was no wider impact. The usual explanation for this is that there was suspicion in the West about how far the Soviets could be trusted, but this is only part of the answer. The suggestion that hundreds of thousands, even millions of people had been murdered in one camp was, at that point, almost incomprehensible. There was in fact similar incredulity when, in January 1945, similar claims were made about Auschwitz. Only in April 1945, when dozens more camps and sites of atrocity in Germany were uncovered, and when film of these camps was shown across Europe and America was there a wider acceptance that millions had indeed been murdered. As the history of the Holocaust was gradually uncovered at the Nuremberg Trial, and in succeeding decades, Majdanek, now hidden behind the Iron Curtain, was only one part of this. Majdanek was not forgotten in Poland. The camp was turned into a museum, and efforts were made to restore the site. The first war crimes trial was held there in the autumn of 1944, and several of the staff indicted at that process were sentenced to death. In 1968 two huge memorials designed by Wiktor Tolkin were built there. Through the Cold War, Polish schoolchildren were taken to Majdanek, and since 1989 some visitors from other countries have been there. But Majdanek has not become part of the international “Holocaust tourism” circuit. When I visited in March 2007, there were more crows than people at the bleak and exposed site of the camp. Today, Majdanek presents a serious challenge to all who are concerned with memory and our knowledge of the past. Its largely wooden buildings and their fragile contents are rotting. In 2010 a fire destroyed thousands of pairs of shoes in one barrack which had previously offered a mute testimony to the suffering of their former wearers. Should the camp be preserved for the future? Its grim structures will need continued restoration, and in some cases outright replacement if the answer to this question is yes. In the meantime, the wind sweeps over the vast expanse of the camp, and crows perch on the rusting barbed wire. The watchtowers, barracks, and fences are horribly visible to the people of Lublin whose windows overlook the site, and who drive past on the main road to Zamość. Now, 70 years on, we must not forget what happened there. Toby Thacker does not work for, consult to, own shares in or receive funding from any company or organisation that would benefit from this article, and has no relevant affiliations. Facts and Opinions is a boutique for slow journalism, without borders. Independent, non-partisan and employee-owned, F&O performs journalism for citizens, sustained entirely by readers: we do not carry advertising or solicit donations from foundations or causes. Why? If you’d like to support our journalism, for $2.95 (the price of a cheap brew) you can subscribe to F&O for a month. If that breaks your budget, a one-day pass is $1. A subscription is required for original F&O work.